China’s domestic tourism revenue is expected to reach 88 billion yuan ($13.9 billion) during the upcoming International Labor Day Holiday, says a guide released by China’s Ministry of Culture and Tourism on April 25, China News reported. 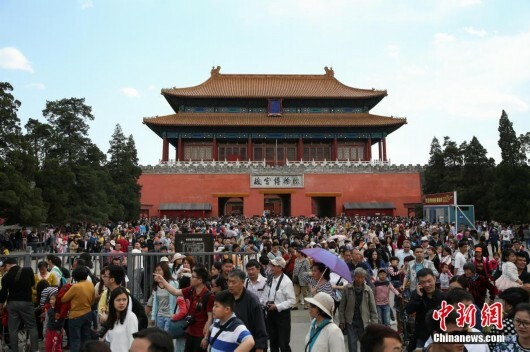 The guide stated that 149 million domestic trips will be made by Chinese tourists over the holiday period from April 29 to May 1, achieving the tourism revenue of $13.9 billion. Cities including Beijing, Qinhuangdao, Dalian, Harbin, Shanghai, Sanya and Hangzhou are the most popular tourist destinations, according to the guide. In terms of outbound tourism, countries such as Singapore, Thailand and Malaysia are most popular with Chinese tourists, with Canada, the United Arab Emirates (UAE), France and Russia also noticing a rise in popularity. Despite high tourist inclination, the guide also reminds Chinese tourists to appreciate security awareness and to avoid destinations prone to natural disasters and wars.